France and the French language has always been a passion of mine. 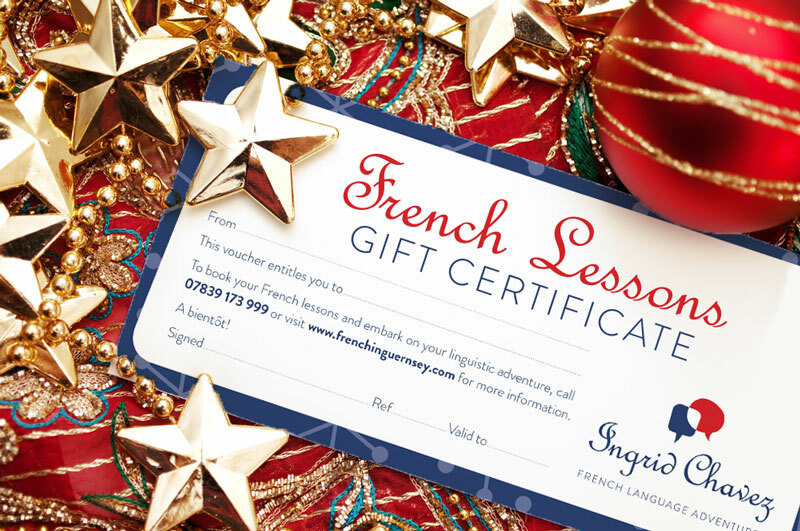 So much so I met my wife, Ingrid whilst having French lessons in Guernsey! 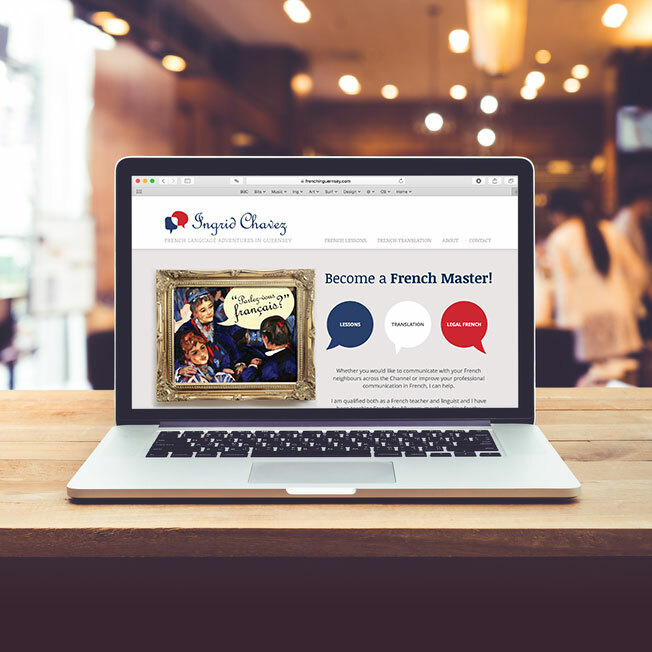 Ingrid wanted a brand identity for her new French language and translation business called FrenchinGuernsey.com. Learning a language doesn’t have to be boring and indeed it can lead to some fun situations when on holiday. We wanted to get across that playfulness with the branding and advertising. 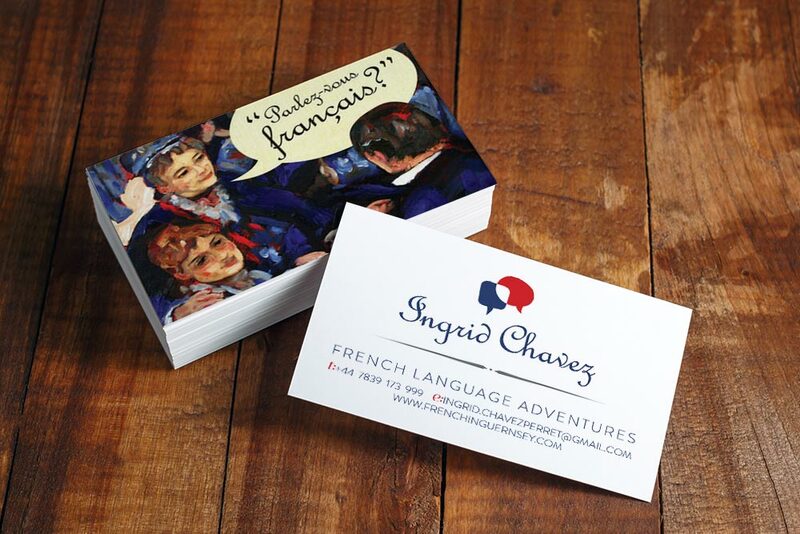 We came up with the engaging strap line “French Language Adventures” and built the advertising around real life situations whilst away in France. Following on from that came business cards and website design. 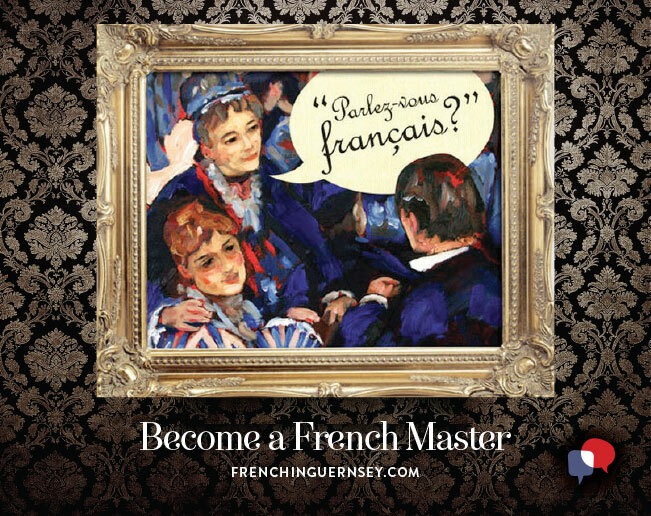 One advertising campaign “Become a French Master” focused on great French master paintings, where there was social interaction like Renoir’s “Bal du moulin de la Galette”. We decided Renoir would work best for Guernsey too as he visited and painted pictures there. I ended up painting the scene myself for the advert, which now hangs in Ingrid’s French in Guernsey studio.